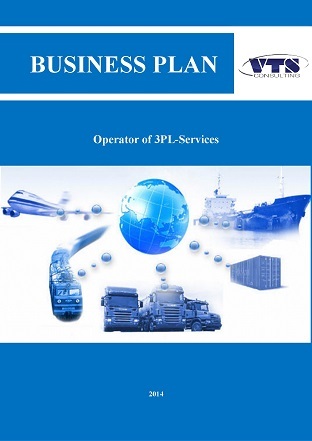 Project idea: startup of enterprise-operator of 3PL-services. Project specificity: range of transport and logistics services, starting from transportation or shipping of cargo (goods) and ending with the delivery of processed and packaged cargo (goods) to end consumer. Complex of 3PL of enterprise includes: organization of shipping, maintaining of support documentation of cargo, accounting and tracking of cargo ant its stocks in warehouses, warehousing, processing of cargo as well as bringing of goods to the final consumer. Project geography: Moscow and Moscow Region. Consumers of project services: private Internet stores. State of the market: at the current moment Russian market of transport and logistics services is fragmented highly. There are about 3.8 thsd companies operated in it, which offer the transport and forwarding services (the companies registered on the territory of the Russian Federation with their subsidiaries in regions), including 2.8 thsd carriers and 1 thsd forwarders (operators or agencies). In 2013 the volume of market of transport and logistics services in Russia was estimated at about 80 bln USD (excluding pipeline transport). The market is formed by independent transport and logistics companies as well as affiliated companies of large shippers. The main clients of the company will be private Internet stores operated on the territory of Moscow and Moscow Region. Complex approach: the company implements the idea holistically – from the wish of Charterer to start up the Internet store to the delivery and transfer of goods to the Final Client. Assisting in the choice of ready sites of the Internet stores, consultation on selection of the necessary tools for effective functioning, helping in sites development and promotion, etc. Support in finding of producers and suppliers of goods according to the Charterer’s needs, negotiation with supplier, signing up the contracts for the supply of production, which is interesting for the Costumer (Russia, China, Turkey and European countries). Implementation of process of goods purchase from suppliers according to the Charterer’s needs. Responsibility for decision of all issues associated with goods delivery from producers and suppliers to the company’s warehouse. Possibility of processing and storing of goods in the company’s warehouse. Processing of applications for the shipment of goods, complectation and delivery of goods to the final Client according to the objective of our Charterer. Organization of products delivery from Charterer to the final Client, obtaining and encashment of received funds for goods. Expert estimation of outsourcing level of logistics function on the Russian market is confirmed by data of the market participations. 73% of interviewed market participants answered in the negative or were undecided to the question «Are you ready to transfer the part of logistics processes to outsource?» The more vivid contrast is observed by the answer to question «Are you ready to transfer all logistic functions to outsourcing?»: 68% of the interviewed answered in negative, 22% were undecided. Herewith only 10% of respondents are ready to transfer all logistics functions to outsourcing. Concerning the segment of raw cargo transportation and segment of goods with high added value which are interesting for project author, these categories will develop differently. The segment of goods with high added value, which characterizes the project company, has its own specificity. Demand for the complex logistics services in segment of cargos with high added value is growing. Such tendency is explained by the fact that volumes of consumption of goods with high added value is growing, but shippers of such cargo have shifted their attention to the services of transport companies renouncing of independent logistics. Development of e-commerce is the main tendency under the influence of which the market changes the most strongly. It is not the exaggeration to say that the significant part of offline-retail goes online, and the logistics companies must offer the online-decisions, since for the last five years the overwhelming majority of the largest companies has provided oneself with own Internet projects. For the last three years the transport and logistics market of Russia has been growing actively with the annual rate more than 19%, herewith the maximum growth rate was accounted for cargo forwarding. It is expected that the average annual growth rate of market of transport and logistics services will amount to 15% in the next 10 years.